The goal of Crazy Driver Android HD by Fihox is simple, just drive your car as far as possible! The further you go, the more likely it is that diamonds will appear, and the more likely it is that diamonds will appear, the more likely it is that you'll collect them, and the more diamonds you collect, the higher your score! Wow, that's a lot, but it sure is fun. 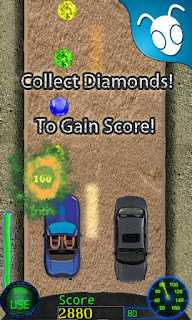 Collecting diamonds in a row will give you double or triple the score! but missing one will give you back to normal rate. Do you like fast cars? Do you like racing games? 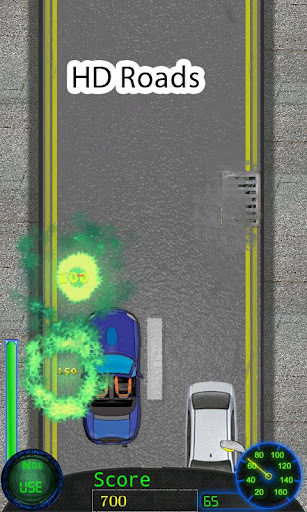 Then check out Crazy Driver on Google Play! Think you're smart? Try this Android game! Neil Rajah Takes Android by Storm! Feeling Lucky? Check out Hidden Treasure Slots!